Debbie retired in 2014 after 35 years in education. 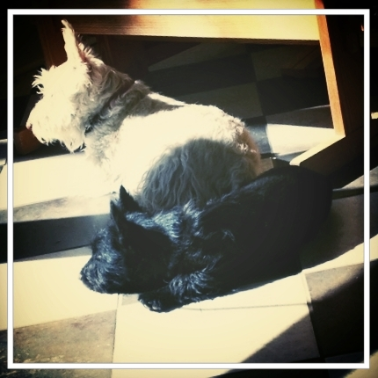 She and her husband Ken live in a Victorian home they restored on the Historic Loop with their Scottish Terriers, Quinn and Dilly, and Rooney, a Scottie wanabe. 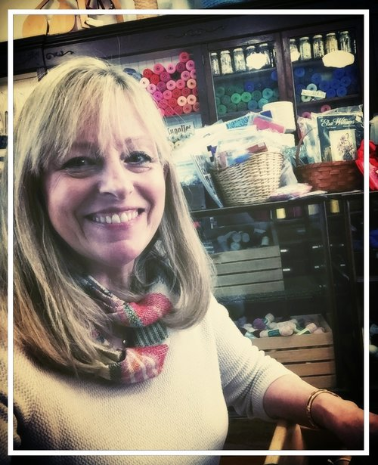 Knitwits meets the first and third Tuesday at 10:00 am in the shop, followed by lunch at a local restaurant. An elite group of knitters, crocheters and fiber artists, most with knowledge willing to share. 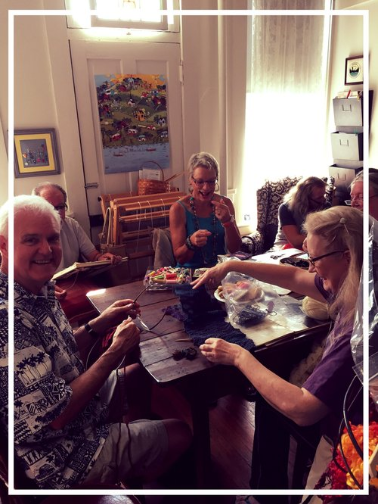 Novices are always encouraged to attend and learn from the best weavers, spinners, knitters, crocheters and rug hookers in the area. New members are always welcome! Dilly and Quinn oversee the weaving operations at Red Scottie Fibers.